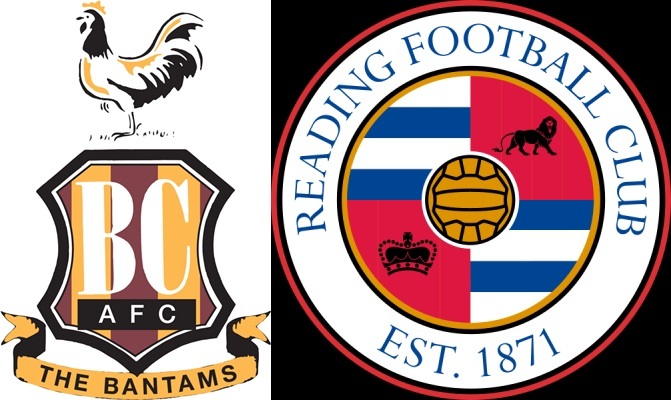 Both Bradford City and Reading made it to the quarterfinals of the 2015 FA Cup by getting past difficult opposition. Bradford needed to defeat two EPL teams in Chelsea and Sunderland while Reading had to get past the Championship second placed team Derby County. Bradford City is the lowest team left in this year’s FA Cup as they sit in 8th place in League One and they still have a shot at making the playoffs with a chance to be promoted to the Championship. Reading are currently treading water in the Championship where they are in 18th place on 41 points. Not enough to worry too much about relegation, but low enough that there is still some worry of getting sucked into a battle at the bottom. Bradford has played the most games of any team left in the competition, having started their run all the way back in September. They had one replay after drawing 3-3 against Millwall, but have managed to score at least two goals in every one of their FA Cup matches. Reading has had to make it to the quarterfinals by playing all three of their matches to date on the road, and Saturday’s match isn’t any different. Thus far they have won by one goal in each of their games. With all of that in mind, this should be an interesting match and one that should be quite tight. Then again, it is an FA Cup match where anything can happen. My prediction is a scoring draw with Reading winning the replay.